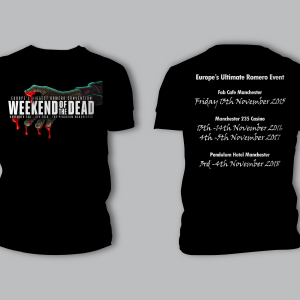 The Walking Dead meets Weekend of the Dead…Mike Mundy featured Walker in Season 2 & 3 comes to Manchester. Mike loves Weekend of the Dead so when an opportunity to reach out to the event was made possible he couldn’t resist grabbing the chance like a hungry Zombie. Mike can be found in The Walking Dead Season 2 finale where the last walker got shot in the woods by Andrea before Michonne appears and he was also the guy that season 3 started off on with the eyeball slowly zooming out to reveal the full Walker. Mike was picked by the man himself, Greg Nicotero for his facial features which impressed him so much. 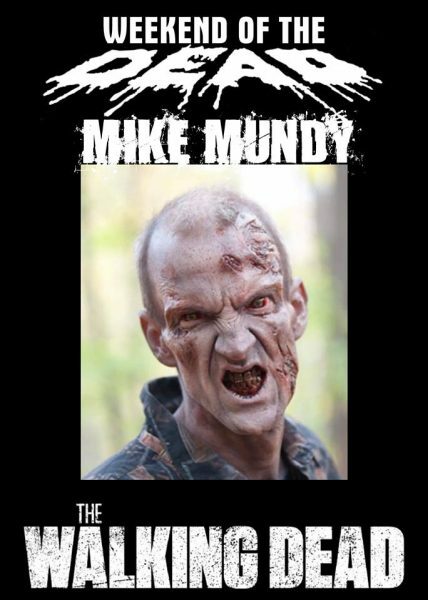 For season 3 Andy Schoenberg, from KNB FX team completed Mikes makeup which is why he is one of the most memorable featured Zombies from the past seasons. Mike will be attending all weekend along with his makeup artist fiancé so please give them a warm welcome to our special event.